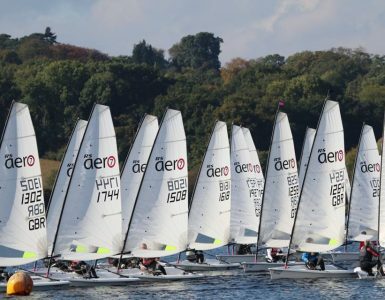 There has been much debate in recent years about the risks of serious head injuries to dinghy sailors and the benefits of wearing a sailing helmet. However, my impression is that most adult dinghy sailors are not convinced of the need for wearing helmets. It’s a personal choice and most choose not to wear helmets. 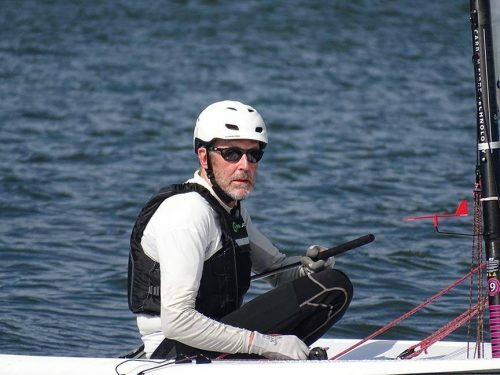 One of my RS Aero sailing friends has discovered an alternative form of head protection – a “bump cap” insert which he wears inside a normal baseball cap style sailing cap. 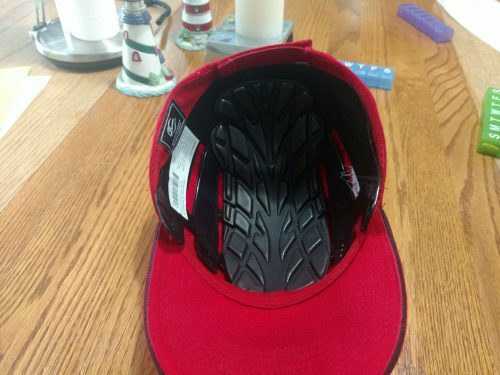 It costs only a few dollars, it fits inside most baseball caps, you can’t tell he is wearing any protection, and he says he forgets he is wearing it. He was showing off this product at the RS Aero Florida State Championship in Jensen Beach earlier this month and it sounds as if several other Aero sailors are following his lead. A couple of them are sailors who do normally wear sailing helmets. I think they are planning to use the bump cap solution on lighter air days when they perceive the risk of a severe blow to the head by the boom in a gybe or tack is somewhat lower. Photo at top of post shows two views of a bump cap insert. Photo above shows insert in cap. I did a bit of research on the Google machine and discovered that these bump caps are used in the construction industry. 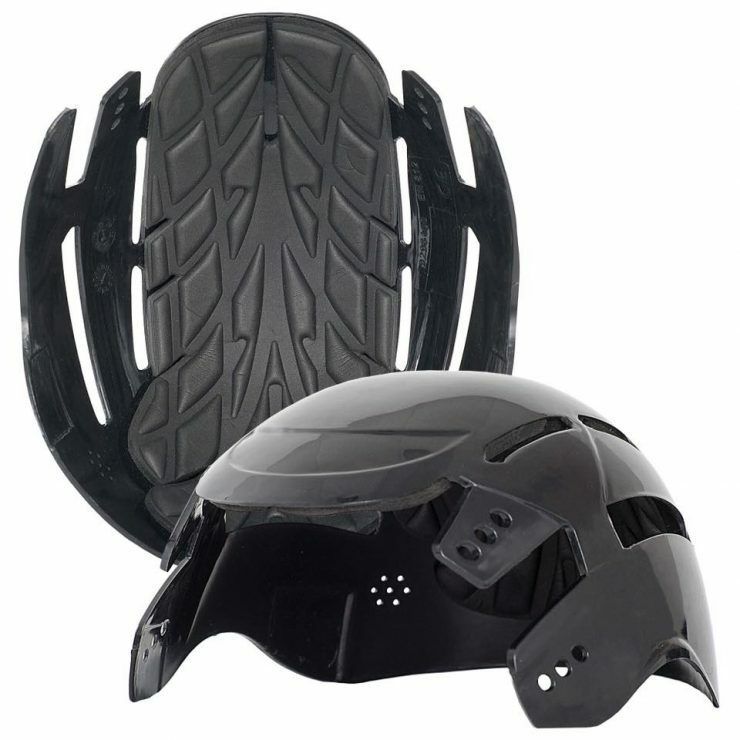 They are designed to protect the wearer from minor head bumps and lacerations, but are not intended to protect from falling or flying objects. 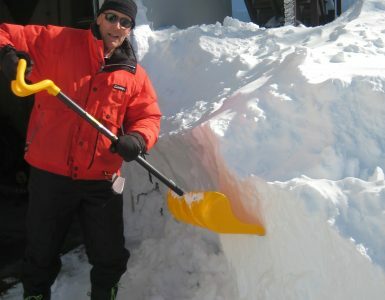 Bump caps are recommended where there is a risk of impact between the head and stationary objects – such as low ceilings or overhead pipes. But when there’s a risk of impact with moving objects of any type on a building site, a hard hat is considered necessary. The suspension system inside a hard hat is designed to help absorb and dissipate the impact from a falling or flying object. That makes sense. So what should sailors do? Far be it from me to offer any advice. I am not a safety expert or a head doctor. (Is there even such a thing as a head doctor?) 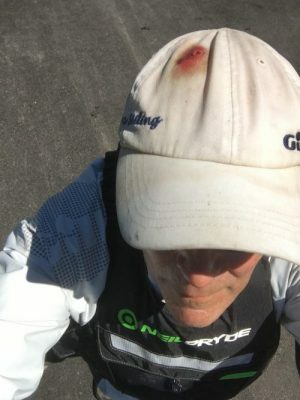 It is true that the only injury I have had from an RS Aero boom was a glancing blow during a heavy air gybe that caused bleeding from my scalp even though I was wearing a cap. I was a witness, for example, to this incident which caused serious head injury to a very experienced sailor that was covered in Sailing World – Concussion Free Sailing. A few summers back, Lynne Shore, an Olympic gold medalist in the 470 at the 1988 games, was racing her Laser in breezy conditions off Hyannis, Massachusetts. She bore off around the weather mark and started surfing downwind. Close ahead, a fellow competitor who was sailing upwind abruptly tacked right in front of her. Fully planing, with no time or space to avoid a collision, Shore could do little but minimize the impact as best she could. “I knew that if I didn’t, my boat would probably have killed [my competitor],” she says. She ended up taking the brunt of the impact when the boats collided, when she was first struck on the left side of her head by her own boom and then on the right side by the other boat’s boom. Dazed by the impact, she eventually righted her boat and, with the assistance of safety boats, made it to the beach, where an ambulance was waiting. She was diagnosed with a massive subdermal hematoma and a severe concussion. “I didn’t go to work for over a week,” she says. It took almost a year to recover from the accident. One of the Aero sailors who purchased a bump cap insert this week, was kind enough to publish on Facebook this photo which shows the disclaimer label inside the bump cap. 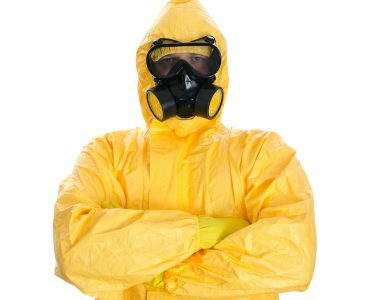 Well, as I said above, we are all free to make our own decisions about what, if any, protective gear to wear. But I am going to continue wearing my helmet. Have a nice day… and don’t forget to duck! Great assessment Tillerman. 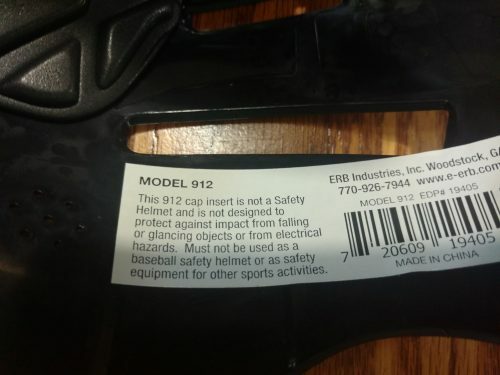 I would just add that the bump cap is an improvement over no protection at all. If those not likely to wear a helmet do wear the bump cap. The perfect need not be the enemy of the good. In the Aero we are already way ahead of the game by having a light carbon boom. That with the bump cap is a huge leap over no protection and a head strike from an aluminum boom. Good points Jim. I’m all for anything that will make my fellow sailors less likely to get injured while sailing.